Unlike most of the plants with which we're familiar, this is a nonvascular plant. 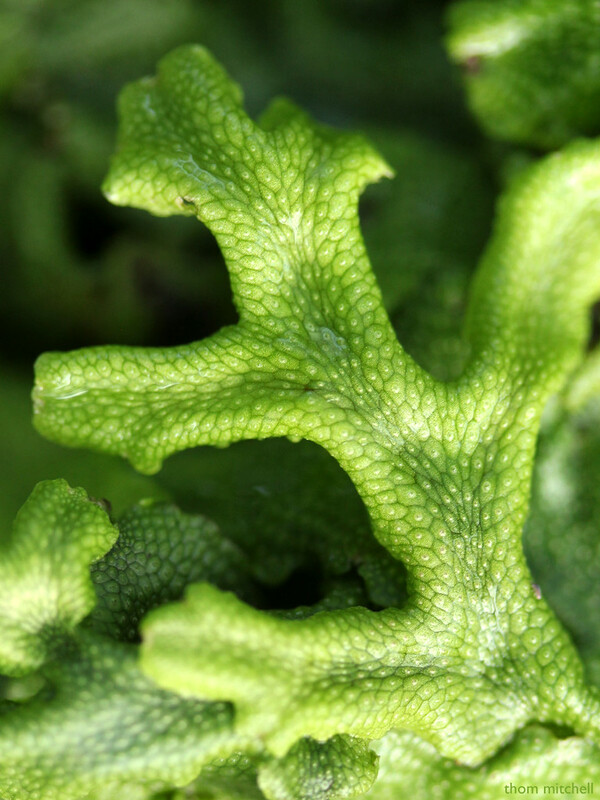 One common name for this species is “Snakeskin liverwort,” and the reason should be apparent from the image. This is difficult to photograph because the plants are kept very wet in the greenhouse, so to reduce the glare and reflections from all light sources, this was a close-up to start with and highly cropped to capture the “snakeskin” pattern. New to me, and I like learning about this. Your photo shows it very well.